We’ve had two doctor appointments since I last updated you. The first was just over a week ago and we felt pretty good when we walked out of there. Pippy weighed 2 pounds 9 ounces! That was a gain of 6 ounces! We also found out she has flipped and is no longer breech, so those little fists in my ribs are actually her feet. I was surprised to hear she had flipped because I just assumed with everything going on that she wouldn’t feel the urge to move head down. But she showed me! We also asked them to look at her brain and update us. We found out that her brain is growing, but is measuring 10 weeks behind. They said the cerebellum, which plays a major role in motor control and contains half the neurons of the brain, looks normal. So that is definitely not bad news! The most interesting part of the appointment to me was that we got to see her practicing her breathing on the ultrasound. Basically, she is exercising her diaphragm and strengthening those muscles for when it comes time to breathe outside the womb. (Babies in the womb don’t breathe air. They receive their oxygen through the blood stream.) Doctors aren’t sure if this is a reflex or if her brain is telling her it’s time to start working those muscles. But again, this is definitely not bad news! They told us when they do a biophysical profile on babies in the womb, if they are not practicing their breathing at this time, they get a lower score. So, yay Pippy! As far as my fluid goes, it measured at 33, up from 29 at the last appointment. I’m feeling a little bit like the Stay Puft Marshmellow Man. Our second appointment was yesterday, and in the week between the two appointments my sciatic nerve has been killing me and the Braxton Hicks contractions have increased. My body is fully welcoming me to the last month of pregnancy and preparing for the end. Just about every step I take is painful and the muscles in my booty and leg feel like they’re cramping up whenever I move. This is by far the least enjoyable part of pregnancy for me so far. The Braxton Hicks aren’t painful, but with the extra fluid they are definitely becoming more uncomfortable. At our appointment yesterday, Pippy weighed in at 3 pounds 1 ounce! Woo hoo! Goal achieved! We hit the 3 pound mark! My doctor said ultrasounds have a 10% margin of error though, so technically her weight could be off by a few ounces, but we’ll take it. We got to see her practicing her breathing again and she is still head down. One of the coolest things happening lately, is she seems to be moving more. In the past, she would stop moving whenever anyone else tried to feel her, but Timmy has gotten to feel her a lot lately. He’s even gotten to feel what I call the “alien move,” where she rolls across my belly. It’s a very neat and very strange feeling that I was praying he would get to feel. We can also see her moving, which is amazing. I’m so thankful we’re getting to experience these things with her. I feel like it’s a miracle in itself considering how little she is and how much extra fluid she has to move around in. Also at our appointment yesterday, my blood pressure measured a little high. My doctor has put me on bedrest until delivery. They did blood work to check for preeclampsia and we go back in on Monday to discuss the results. If the results come back positive for preeclampsia, we will deliver early. If not, things are still set for February 5. Please keep that in your prayers. I’ve been laid up on the couch since 10am yesterday morning and I’m getting super bored! I was able to work from home yesterday so that kept me occupied for most of the day. I’ve also watched some TV, messed around on the laptop, talked on the phone, crocheted, read, napped, and I’m running out of things to do. Luckily, my mom and step-dad are coming in from out of state tomorrow to babysit me because Timmy is still working right now, so it will be good to get to visit with them. Timmy and I are both feeling pretty nervous. He’s concerned about me of course and my blood pressure. At this point, I’m not too worried about it. We’ll just wait and see what the test results say. We’re both nervous and anxious about delivery time. Timmy made a good point to me the other day. He said we just have to trust God to take care of it. I know I’ve been saying this from the beginning, but he added something that I hadn’t thought about. He said, we have to trust that God will help us know how to feel and what to say. We know God will take care of the baby and we know He will take care of us. My biggest fear through all of this has been the fear of unknown emotion. What does a broken heart really feel like? I’m scared of that feeling. My wonderful husband reminded me that God will not only heal my broken heart eventually, but He will give me the immediate tools I need to deal with whatever goes along with it. He will help us know what to do and what to say when we see this little baby for the first time. He will help us know what to do and say in regard to her health care, whether it be minutes or days or years. We can only prepare so much because there are so many variables involved here. We can only take it so far and then we have to know and trust that God will guide us the rest of the way. Thank you all for your continued love and support. Please keep us in your prayers over the next couple weeks. I will try to update the blog after our appointment Monday, if of course we aren’t being admitted to the hospital. When the time comes to deliver, I don’t know when I will update. I’d like to say I’ll update everyone as soon as I’m able to sit in front of the computer, but honestly I just don’t know if I’ll be emotionally able. So in the meantime, please continue to keep our family in your prayers. God is good all the time! He will sustain us. He knows exactly what’s ahead. He has already planned Epiphany’s life and knows the full purpose of it. If we only get a very short time with her, I’m thankful. I know that her life has already had a beautiful purpose and I’m so proud of her. 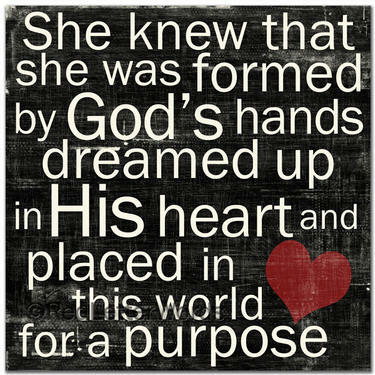 She is fearfully and wonderfully made. She is a fighter and she has already had an amazing life. Thank you God for this time and whatever extra You give us! To help alleviate some of the fluid build up in your system ( not baby’s) and feel less like the marshmallow mom, put lemon juice in your water. your kidneys will process the water in your tissues more efficiently. Of course check with your doc to make sure he doesn’t have any issues with that route. Praying for you and your family. There’s a lot of good things going on w/Pippy and her Mommy. Glad that your Mom is going to be able to be there w/you, pray for negative results on Monday. You are an amazing woman and an Inspirational Christian. Hugs, Prayers, and Love always…. Our prayers and thoughts will be with you and I know your mom will know just what to do, You are both really amazingly strong Christians, I know that God will guide you though this event, my heart breaks for your family.